Welcome to the year of 2016! Since last July when the first issue of International Journal of Bioprinting (IJB) was successfully launched, five new international editorial board members have joined us, including Dr. Aleksandr Ovsiankikov (Vienna University of Technology, Austria), Dr. Gi-ovanni Vozzi (University of Pisa, Italy), Dr. Boris N. Chickkov (Laser Zentrum Hannover e.V., Germany), Dr. Peter Dubruel (Universiteit Gent, Belgium) and Dr. Ali Khademhosseini (Harvard Medical School, USA). 3D bioprinting has been invented for more than a decade. A disruptive progress is still lacking for the field to significantly move forward. Recently, the invention of 4D printing technology may point a way and hence the birth of 4D bioprinting. However, 4D bioprinting is not well defined and appear to have a few distinct early forms. In this article, a personal perspective on the early forms of 4D bioprinting is presented and a definition for 4D bioprinting is proposed. Surgical limitations require alternative methods of repairing and replacing diseased and damaged tissue. Regenerative medicine is a growing area of research with engineered tissues already being used successfully in patients. However, the demand for such tissues greatly outweighs the supply and a fast and accurate method of production is still required. 3D bioprinting offers precision control as well as the ability to incorporate biological cues and cells directly into the material as it is being fabricated. Having precise control over scaffold morphology and chemistry is a significant step towards controlling cellular behaviour, particularly where undifferentiated cells, i.e. stem cells, are used. This level of control in the early stages of tissue development is crucial in building more complex systems that morphologically and functionally mimic in vivo tissue. Here we review 3D printing hydrogel materials for tissue engineering purposes and the incorporation of cells within them. Hydrogels are ideal materials for cell culture. They are structurally similar to native extracellular matrix, have a high nutrient retention capacity, allow cells to migrate and can be formed under mild conditions. The techniques used to produce these unique materials, as well as their benefits and limitations are outlined. Bone implant infection constitutes a major sanitary concern which is associated to high morbidity and health cost. 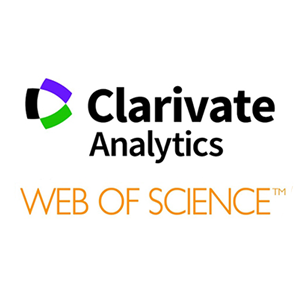 This manuscript focuses on overviewing the main research efforts committed up to date to develop innovative alternatives to conventional treatments, such as those with antibiotics. These strategies mainly rely on the chemical modification of the surface of biomaterials, such as providing them of zwitterionic nature, and tailoring the surface nanostructure of metal implants. 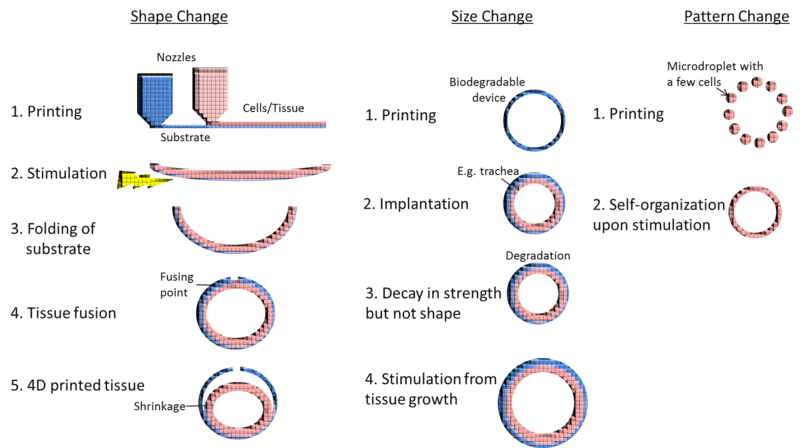 These surface modifications have successfully allowed inhibiting bacterial adhesion, which is the first step of implant infection, and preventing long-term biofilm formation compared to pristine materials. 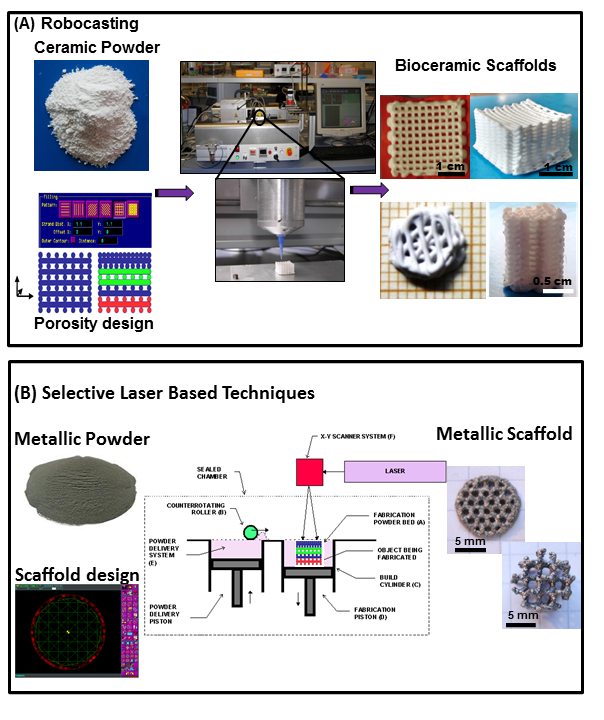 These strategies could be easily applied to provide three-dimensional (3D) scaffolds based on bioceramics and metals, whose manufacture using rapid prototyping techniques is reviewed. This opens the gates for the design and development of advanced 3D scaffolds for bone tissue engineering that prevent bone implant infection. We describe a method to prepare patterned environments for eukaryotic cells by inkjet printing paraffin wax onto glass. This technique bypasses the requirement to create a master mould, typically required with the use of polydimethylsiloxane techniques and the printed structure could be immediately used to guide cell proliferation. 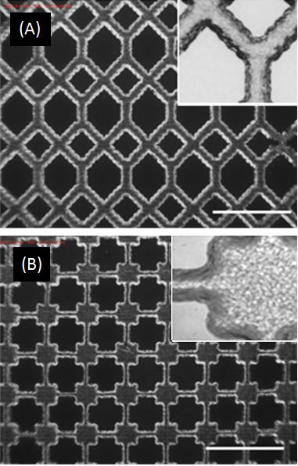 In a space of 2-3 hours, the desired pattern could be created with computer assisted design, printed and have cells seeded onto the scaffold, which could reduce the cycle time of prototyping micropattern designs. Human dermal fibroblasts and RN22 Schwann cells were seen to proliferate within the fabricated patterns and survive for more than 7 days. Additionally, the wax constructs could be readily removed from the substrate at any stage after cell seeding with the cells continuing to proliferate. Thus, we report on a simple but novel approach for the controlled physical positioning of live cells by wax inkjet printing. 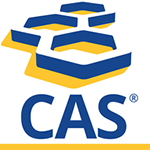 by Vladimir Mironov,	Yusef D. Khesuani,	Elena A. Bulanova,	Elizaveta V. Koudan,	Vladislav A. Parfenov,	Anastasia D. Knyazeva,	Alexander N. Mitryashkin,	Nikita Replyanski,	Vladimir A. Kasyanov,	Frederico Pereira D.A.S. Organ printing is a computer-aided additive biofabrication of functional three-dimensional human tissue and organ constructs according to digital model using the tissue spheroids as building blocks. The fundamental biological principle of organ printing technology is a phenomenon of tissue fusion. Closely placed tissue spheroids undergo tissue fusion driven by surface tension forces. 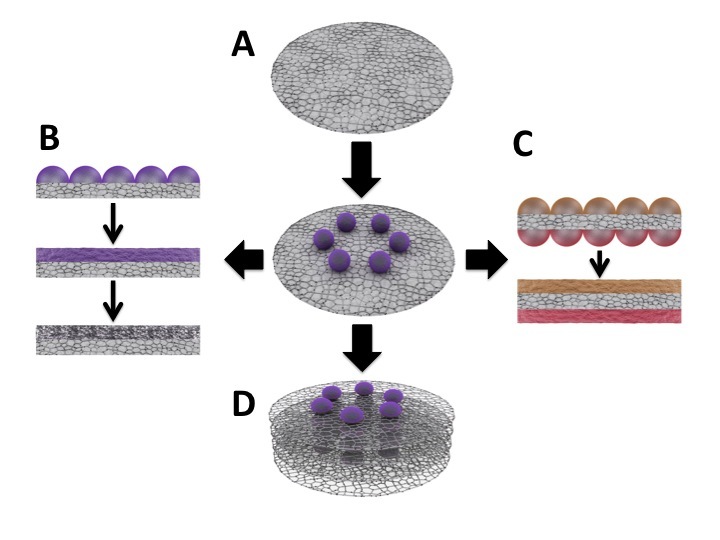 In order to ensure tissue fusion in the course of post-printing, tissue spheroids must be placed and maintained close to each other. We report here that tissue spheroids biofabricated from primary human fibroblasts could be placed and maintained on the surface of biocompatible electrospun polyurethane matrix using 3D bioprinter according to desirable pattern. The patterned tissue spheroids attach to polyurethane matrix during several hours and became completely spread during several days. 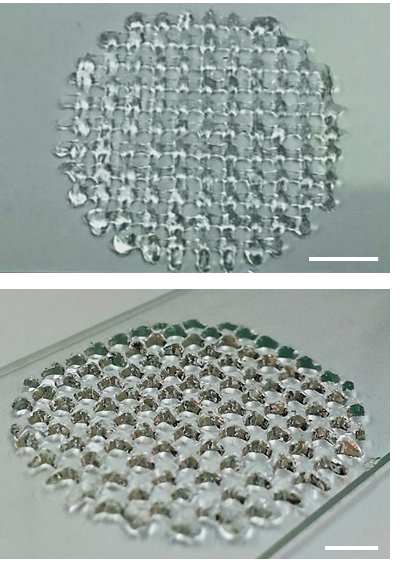 Tissue constructions biofabricated by spreading of patterned tissue spheroids on the biocompatible electrospun polyurethane matrix is a novel technological platform for 3D bioprinting of human tissue and organs. Bioprinting is a promising automated platform that enables the simultaneous deposition of multiple types of cells and biomaterials to fabricate complex three-dimensional (3D) tissue constructs. Most of the previous bioprinting works focused on collagen-based biomaterial, which has poor printability and long crosslinking time. This posed a immerse challenge to create a 3D construct with pre-determined shape and configuration. There is a need for a functional material with good printability in order to fabricate a 3D skin construct. Recently, the use of chitosan for wound healing applications has attracted huge attention due to its attractive traits such as its antimicrobial properties and ability to trigger hemostasis. In this paper, we report the modification of chitosan-based biomaterials for functional 3D bioprinting. Modification to the chitosan was carried out via the oppositely charged functional groups from chitosan and gelatin at a specific pH of ~pH 6.5 to form polyelectrolyte complexes. 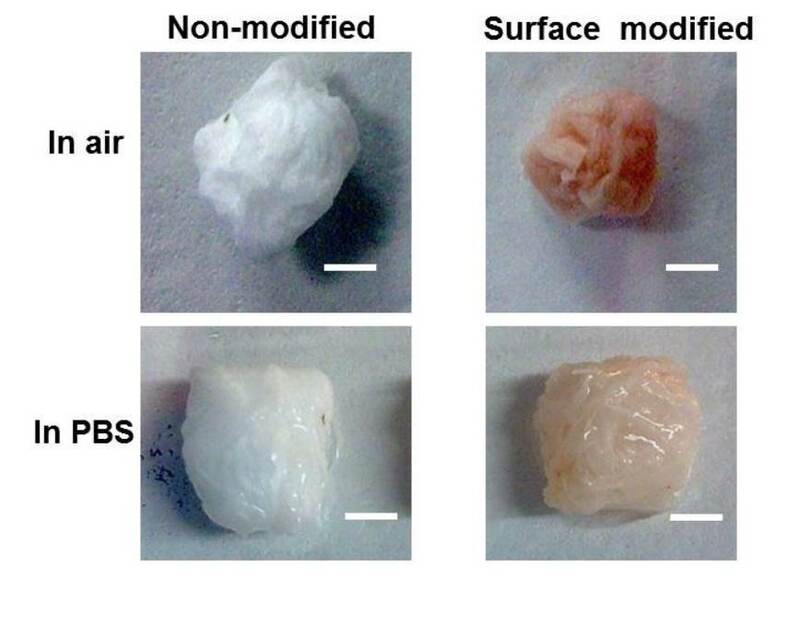 The polyelectrolyte hydrogels were evaluated in terms of chemical interactions within polymer blend, rheological properties (viscosities, storage and loss modulus), printing resolution at varying pressures and feed rates and biocompatibility. The chitosan-based hydrogels formulated in this work exhibited good printability at room temperature, high shape fidelity of the printed 3D constructs and good biocompatibility with fibroblast skin cells. Tissue engineering is a promising technology in the field of regenerative medicine, with the potential to create tissues de novo. Though there has been a good progress in this field so far, there still exists the challenge of providing a 3D micro-architecture to the artificial tissue construct, to mimic the native cell or tissue environment. 3D bioprinting is looked upon as a solution, with its capability of mimicking the native tissue architecture, layer by layer, with high precision and appreciable resolution. Electrohydrodynamic jetting (E-jetting) is one type of 3D bioprinting, where a high electric voltage is applied between the extruding nozzle and the substrate, to print highly controlled fibres. 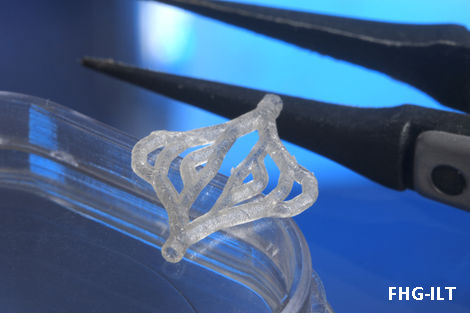 In this study, an E-jetting system developed in-house is used to 3D print fibrous scaffolds. Effect of various E-jetting parameters, namely the supply voltage, solution concentration, nozzle-to-substrate distance, stage (printing) speed and solution dispensing feed rate on the diameter of printed fibres is studied at the first stage. Optimized parameters are then used to print Polycaprolactone (PCL) scaffolds of highly complex geometries, like semi-lunar and spiral geometries, with the aim of demonstrating the flexibility and capability of our system to fabricate complex geometry scaffolds, to biomimic the complex 3D micro-architecture of native tissue environment. The spiral geometry may help in better cell migration during cell culture and tissue maturation. 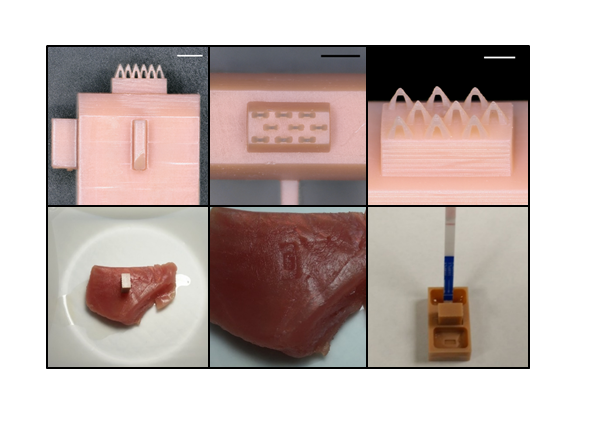 A custom-designed microneedle sampling system was prepared using dynamic mask microstereolithography; this sampling system was used for determination of histamine content in fresh, histamine-spiked, and spoiled tuna flesh. Lateral flow (test strip) assays were successfully utilized in the microneedle sampling system to assess histamine content. Good agreement was noted between data obtained from the microneedle sampling system and a commercially available histamine detection kit. A discrepancy was noted in the results from the microneedle sampling system and the commercially available histamine detection kit at low (negative) levels of histamine. There was an improvement in the agreement between the microneedle sampling system and the commercially available histamine detection kit at higher histamine levels. The results, which showed an improvement in the test duration and the amount of reagent needed for histamine detection, indicate the promise of printed microneedle sampling systems for histamine detection in seafood samples and other types of food testing. Electrospun polymeric nanofibrous scaffold possesses significant potential in the field of tissue engineering due to its extracellular matrix mimicking topographical features that modulate a variety of key cellular activities. 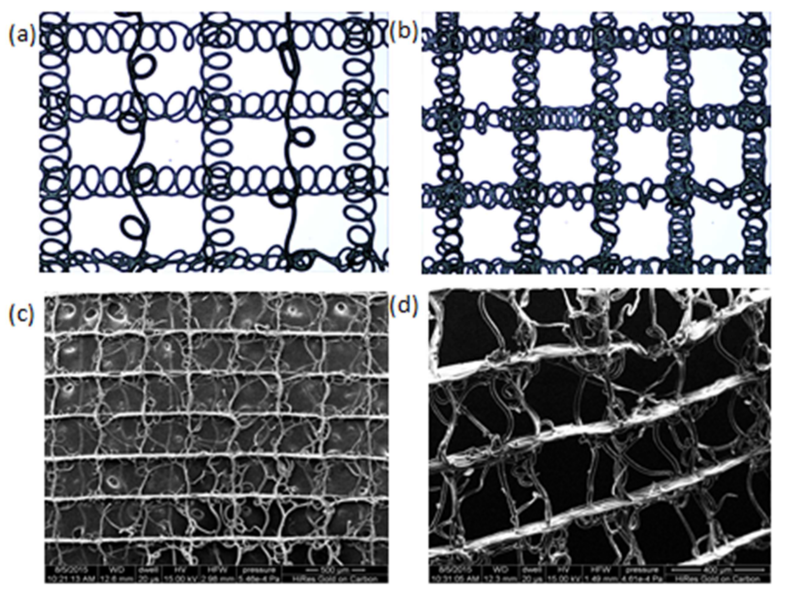 However, traditional two dimensional (2D) electrospun scaffolds are generally close-packed fiber mats which prohibit cell infiltration and proliferation. Consequently, the applications of electrospun scaffolds in regenerative medicine is limited. In this study, we detail the use of a needle collector to fabricate 3D electrospun poly-ε-caprolactone (PCL) scaffolds with multi-scale fiber dimensions. 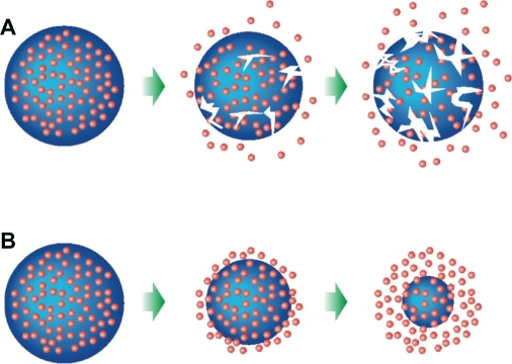 The resultant pore size is 4 times larger than conventional 2D electrospun scaffolds with interweaving micro (3.3 ± 0.6µm) and nano (240 ± 50 nm) fibers. The scaffold was surface modified by grafting with gelatin molecules. It was found that surface modification significantly improved Human Dermal Fibroblasts (HDFs) cell infiltration throughout the 3D multi-scale scaffold. Even after an extended culture period of up to 28 days, cell proliferation was well supported in the surface-modified 3D multi-scale scaffold as confirmed by Ki67 staining. Extracellular matrix proteins secreted by the HDFs was evident on the 3D multi-scale PCL scaffold showing promising potential to facilitate tissue regeneration, in particular dermal tissue engineering. The aim of this paper is to raise awareness of the ArtiVasc 3D project and its findings. Vascularization is one of the most important and highly challenging issues in the development of soft tissue. It is necessary to supply cells with nutrition within a multilayer tissue, for example in artificial skin. 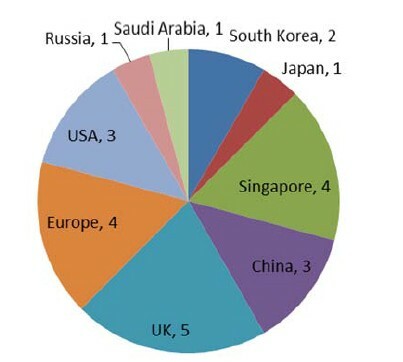 Research on artificial skin is driven by an increasing demand for two main applications. Firstly, for the field of regenerative medicine, aiming to provide patients with implants or grafts to replace damaged soft tissue after traumatic injuries or ablation surgery. Secondly, to substitute expensive and ethically disputed pharmaceutical tests on animals by providing artificial vascularised test beds to simulate the effect of pharmaceuticals into the blood through the skin. This paper provides a perspective on ArtiVasc 3D, a major European Commission funded project that explored the development of a full thickness, vascularised artificial skin. The paper provides an overview of the aims and objectives of the project and describes the work packages and partners involved. The most significant results of the project are summarised and a discussion of the overall success and remaining work is given. The journal papers resulting from the project are provided.